Please join me and fellow authors Eric James Miller (For Rent: Dangerous Paradise), Nancy Nelson (Blue. River.Apple…an Exploration of Alzheimer’s Through Poetry), Brian Rouff (The House Always Wins), and Heather Silvio (Happiness by the Numbers.) 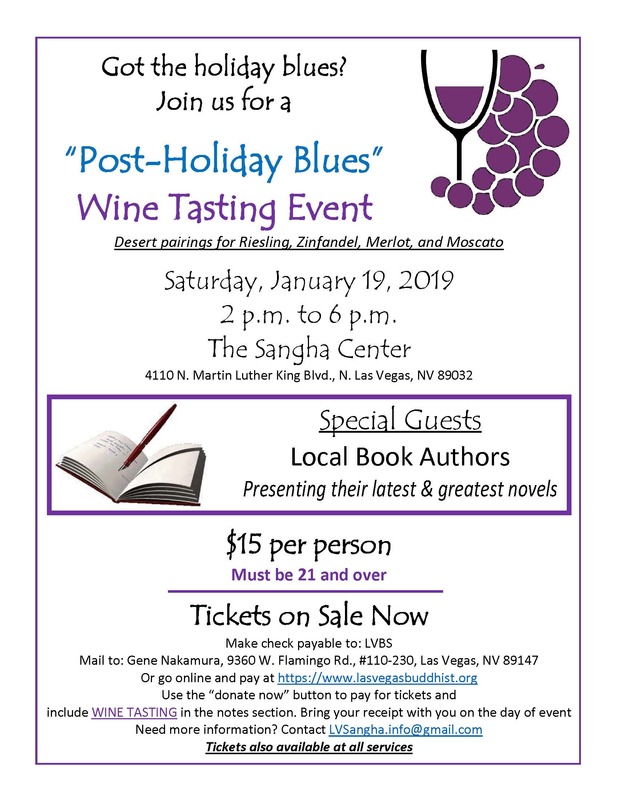 for a brief presentation of our novels and some wine tasting at the ‘Post-holiday blues wine tasting fundraiser.’ Wines will include Riesling, Zinfandel, Merlot and Moscato. I will be promoting The Chapel of Eternal Love – Wedding Stories from Las Vegas and Return to the Chapel of Eternal Love – Marriage Stories from Las Vegas. Do hope you can join us for what promises to be a fun afternoon. All authors will sign and personalize copies of their books.